One thing I struggle with each season is scarves. Many quality scarves cost $200+ and I just can’t justify that living in Texas. 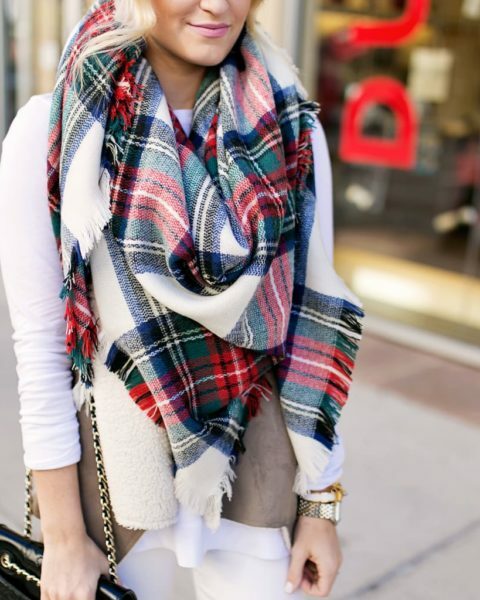 In a dream world I’d live in Manhattan and have all the luxurious scarves ever! But in reality I’m a girl living in Texas just trying to play dress up on a budget! This scarf is $25 and I snatched it up because of the color! However, I was really nervous about it before it arrived in the mail. I kept thinking it would be some version of too wrong. Too big. Too little. To soft. Too thin. It came in the mail and it was absolutely perfect! 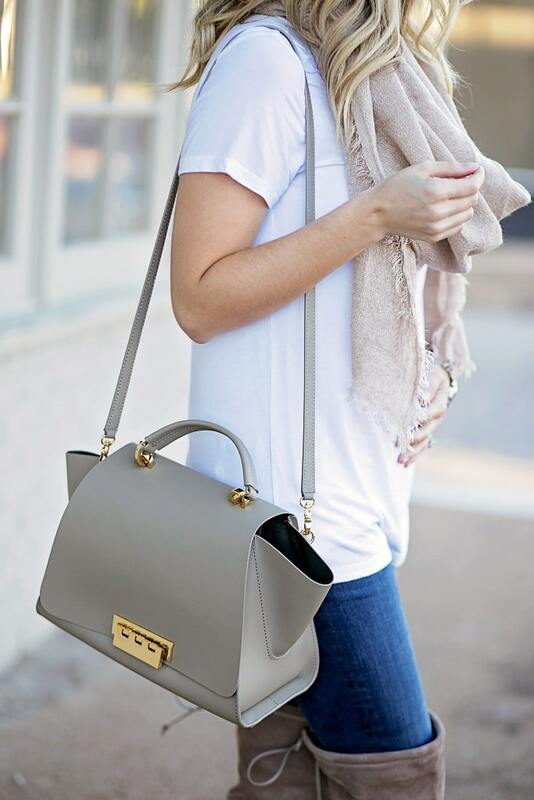 So easy to layer every which way and it comes in a ton of neutral shades. 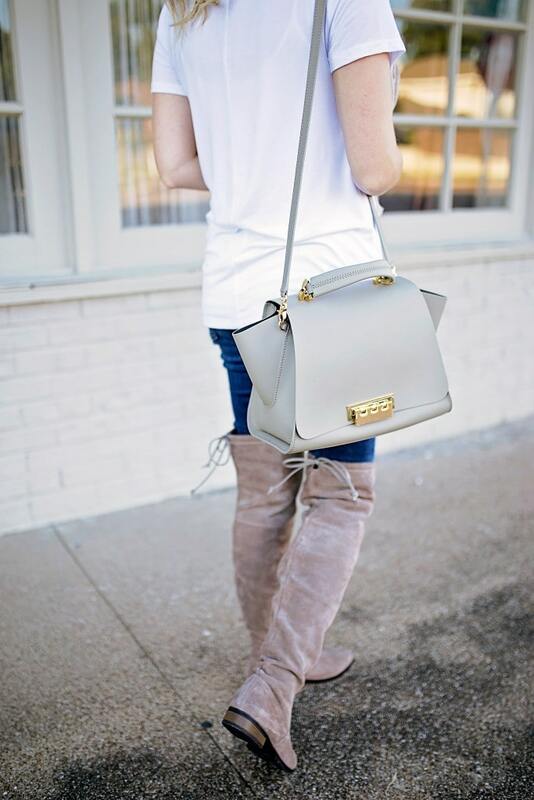 I paired it with an easy white tee, my favorite over-the-knee boots by Sole Society and my Zac Posen bag. These boots have been my favorite this season because they aren’t too dark for warmer temperatures but they aren’t light enough that they constantly stain. I’m also in love with the Calypso Boot from Sole Society. They are out of my size in the taupe shade so instead of being bitter about it I thought I’d share it as another option if they have your size! 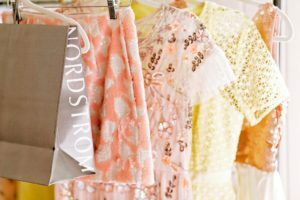 Do you have any scarves you love under $50?! In collaboration with Sole Society. All opinions are my own! There’s a store in Boston, Primark that has the best scarf selection and they are all $9 or $11! They have such a vast selection I can’t stop buying 🙂 Love the simplicity of this outfit, you look great! Love this look, you always look so adorable! I love how you paired it with a simple white t. It is a great weekend look! 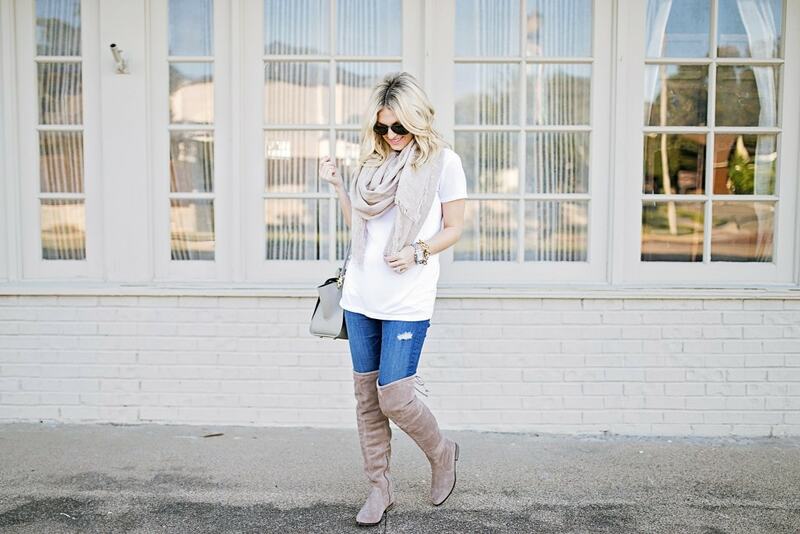 A tee with jeans and a scarf is the perfect everyday outfit! Love it!! 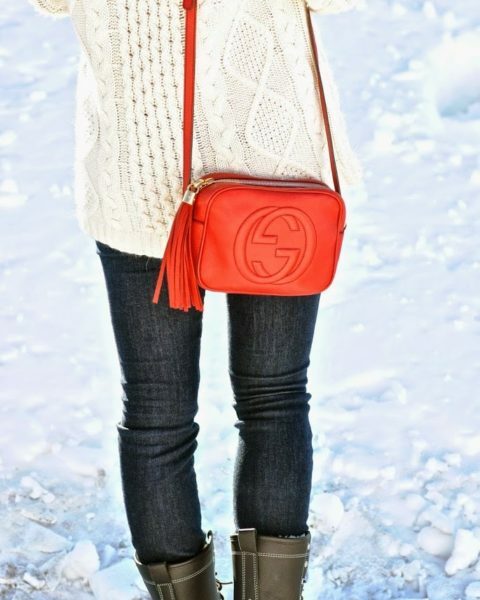 Oooh I love the boots!! 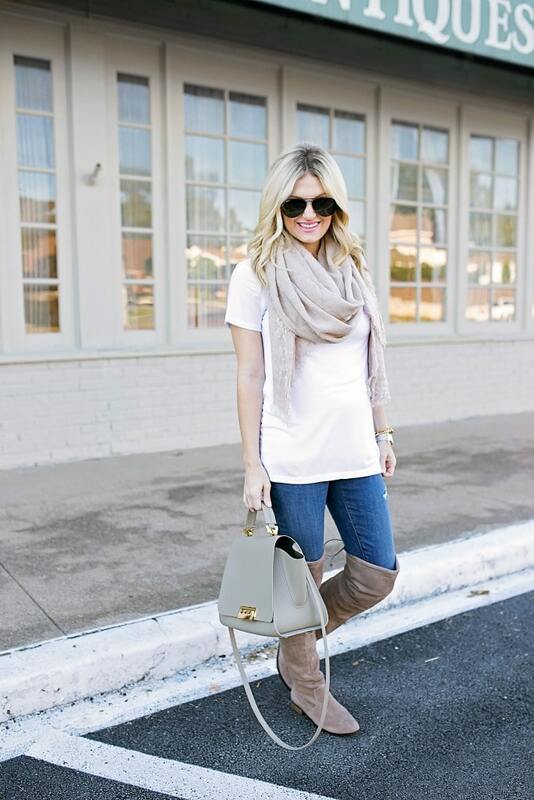 I am loving neutrals right now for fall! 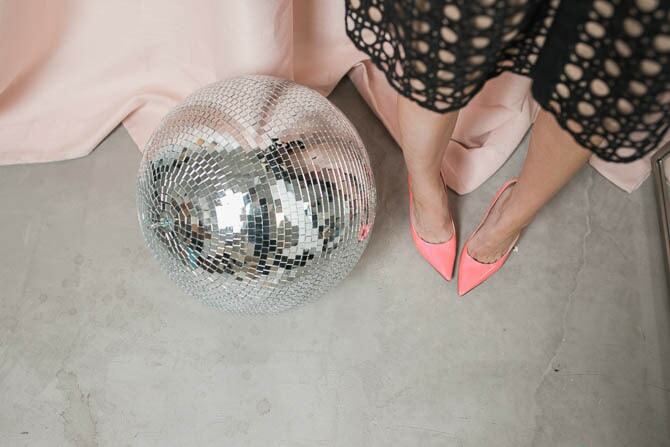 This look is the perfect mix! Also loving those OTK boots – such a great color!